Nothing says "yuck" like going back to work after a perfect 4-day holiday weekend. Don't have time to write anything prolific today but here's a cool pic I took last night! Update: I was playing with the picture and accidentally hit the "negative" setting and this is what I got. WEIRD! Nice pic. I have a new digital camera and haven't tried fireworks with it yet. I had some nice shots from years back when I had a film SLR. I love it! 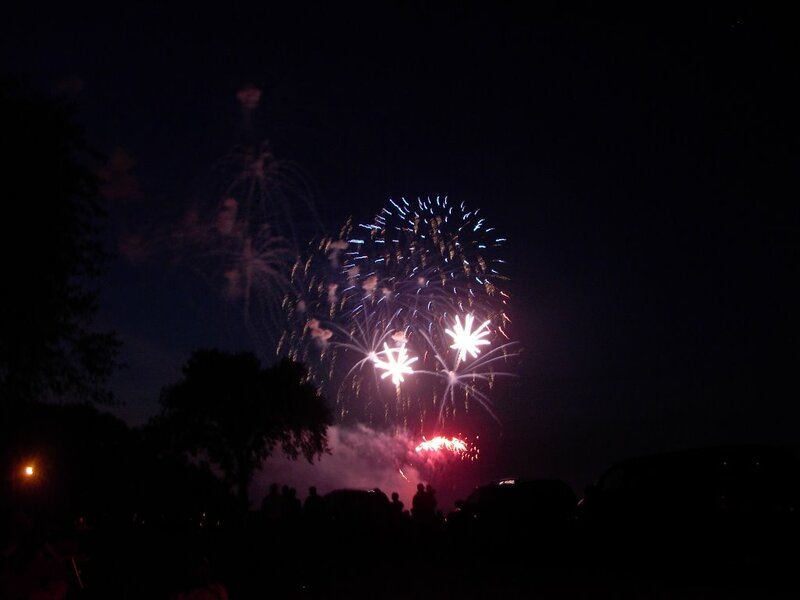 A firework face! I enjoy the pics you add to your posts. Oh, and hey, I actually enjoy READING the posts! I just meant that your blog has a very unique look. That I like. I'm a dork, I'll shutup now. It's the end of the world as we know it. And I feel fine. That is so cool! Sure glad you hit the wrong key! yello - My dream is to get a digital SLR, but I'll have to be much wealthier first. but momma - Thanks for stopping by! Shame on you - NOBODY who reads my blog is a dork! karl - I don't know about the end of the world, but it sure is the end of a very nice holiday weekend as I know it. OTM - Yeah, cool and weird. 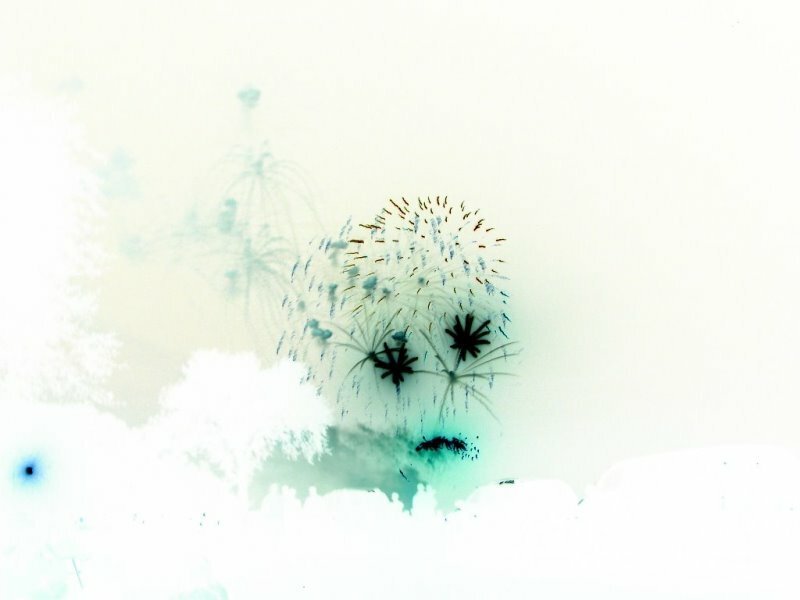 The fun thing is how the camera captured all those different explosions at the same time to "accidentally" create a face. That second picture is awesome. You could frame it and sell it for big money, I'm tellin' ya. Fire face - I saw that look on Randy's face, and in the mirror, this morning, after a perfect four day July 4th weekend. Whoa,that's so cool....sort of like a creepy movie where the kids are locked inside a haunted amusement park....bwahhahahahah!